That’s why I have searched far and wide to discover the best audios that you can actually get without paying (and left out all the ones that are not legitimate!) All of the tracks on this page are full pay versions that you can get for free. For real? So what’s the catch? You have to give them your email address… and yes, it needs to be your real email. But all of these sites have trusted security certificates and follow marketing guidelines that are considerate to you. If they send an email newsletter that you don’t like, you can unsubscribe with the click of a button, and they will honor this, because they are legal and professional. You can choose any of the above, but only one per week! They will also send more files and coupons by emails (It’s legit, no spam). This sublime law of attraction recording removes what is limiting you– and allows you to gain wisdom from your past so that you can improve your future. The male speaker is very talented, smooth, and very persuasive. From the same incredible male voice, you will gain excellent confidence. 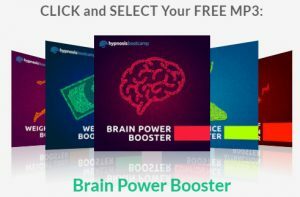 This does of reality will improve any program that you are doing, making it a great choice to sample this hypnotist with this free FULL file. This one will make you feel amazing about YOU. This is a quick no-nonsense guide that will teach you how to do real hypnosis–taught by one of the most well known and experienced hypnotists online. They will send you one video every day, so you can learn in 5 days.